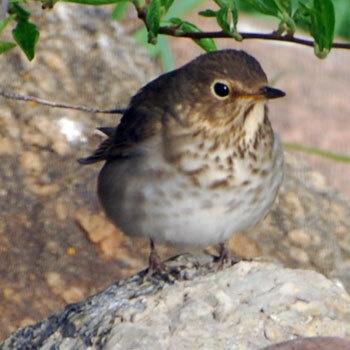 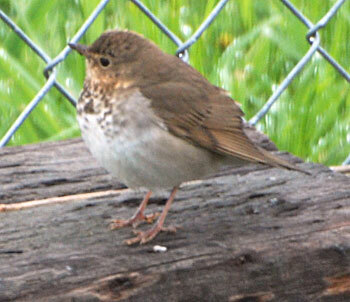 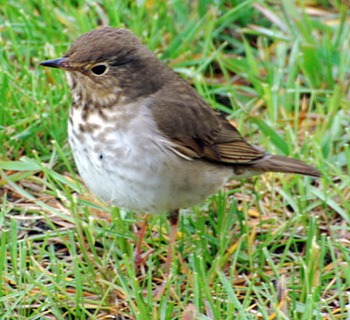 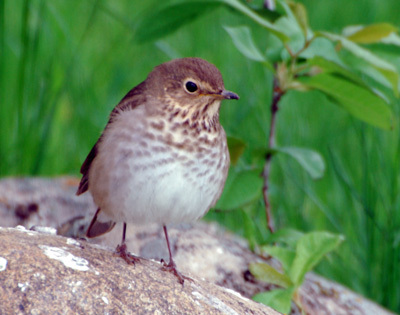 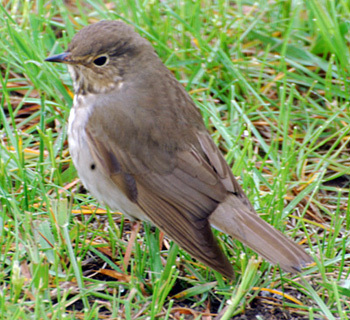 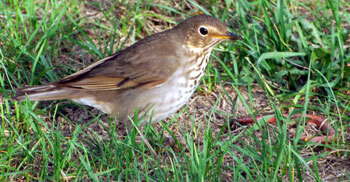 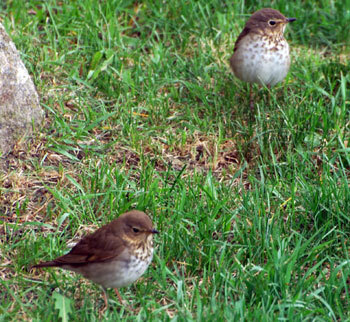 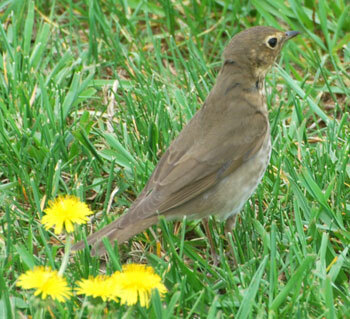 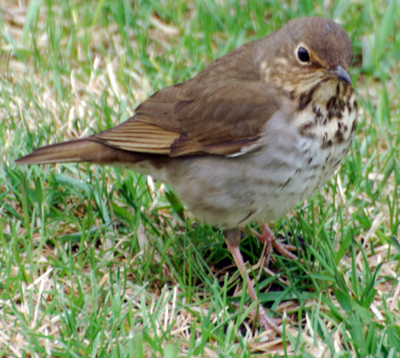 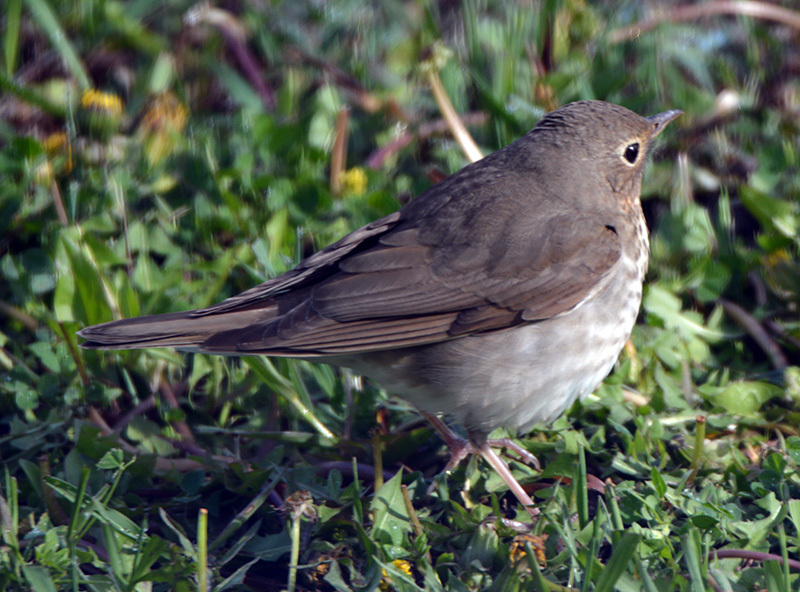 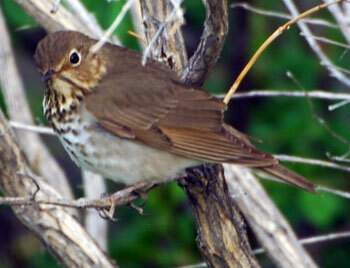 Swainson’s Thrushes and Veery are so similar in appearance and are closely related. 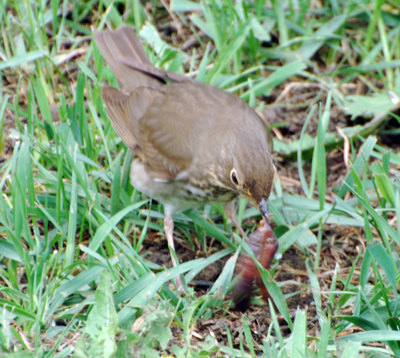 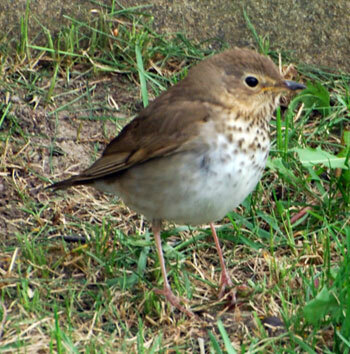 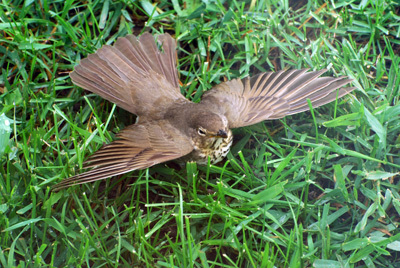 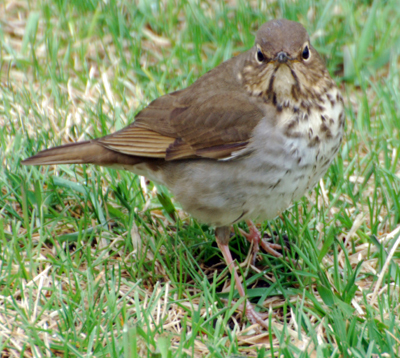 Swainson’s Thrushes have a white circle around their eyes but Veery don’t seem to. 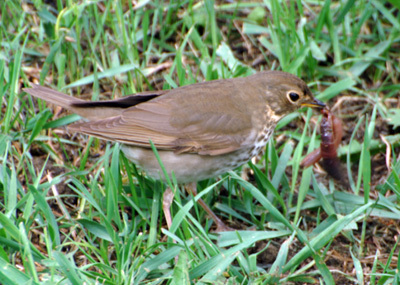 These fellows eat worms which is not mentioned in the literature I read about them. 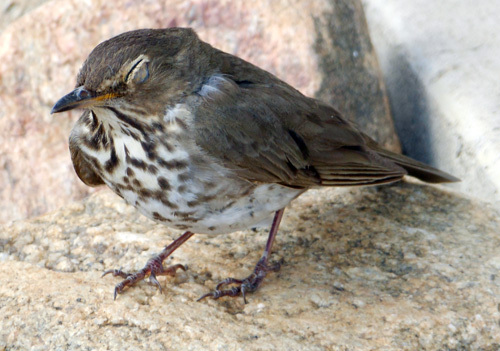 He’s sitting like this as he’s recovering from hitting the window.